Keys are definitely very important little devices; and especially today when you practically need a key to enter almost all the places you are trying to reach and get to. The times we are living in are drastically changing as compared to those ones from few centuries ago and people are trying to restore the security by putting lots of doors with lots of locks and keys between them and the outer world. And this is not totally a bad thing or at least it wouldn’t be if there weren’t for so many keys you end up carrying around. 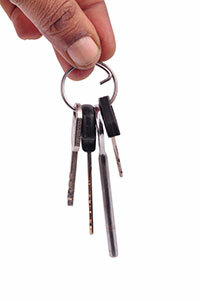 The biggest problem people usually experience with their keys is misplacing the same. Having great number of keys eventually leads to having no idea what key opens which lock and which door. This in fact is the problem that great number of people has in common and that some people are trying to solve with the help of their professional locksmith companies and the latest advancements within the locksmith business and industry. One thing that lot of people find extremely helpful with these kinds of issues is getting a master key and master lock and replacing all the other keys and locks for this master one. The master key lock is in fact excellent solution. One thing that you should be careful about when selecting the key and lock of this kind is to take care of your keys even better than before and to be extremely careful about whom you trust your key with. If before you gave away just the key to your apartment or your summer house now you are giving away the key to every lock you decided to include in your master lock.